Located just off the Natchez Trace Parkway in Attala County, Mississippi, Kosciusko High School serves approximately 600 students in grades 9 through 12. We provide a strong educational foundation for our students with the help of an amazing group of teachers, administrators, and supporting staff. 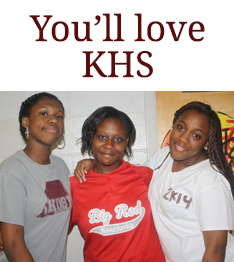 Please take some time to learn more about Kosciusko; we know you’ll find countless reasons to love our school.